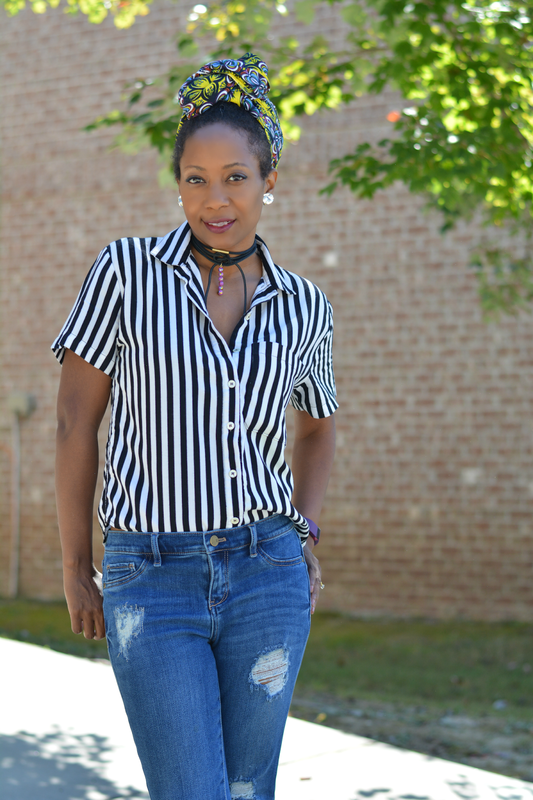 Word on the street or according to Buzzfeed, there is a 90s fashion trend revival. While I loathe most of what was on this listicle and 90s clothes in general, I do like the return of the choker necklace. In less than 30 minutes, I was able to bang out a few diy ones. I feel like MacGyver with this one. I have a bag of tube assortments I bought on Amazon specifically to make jewelry. I bought a bag of leather remnants when I visited Austin this summer for no reason at all. I just thought I could do something crafty with it. This is the first project. Together they work. 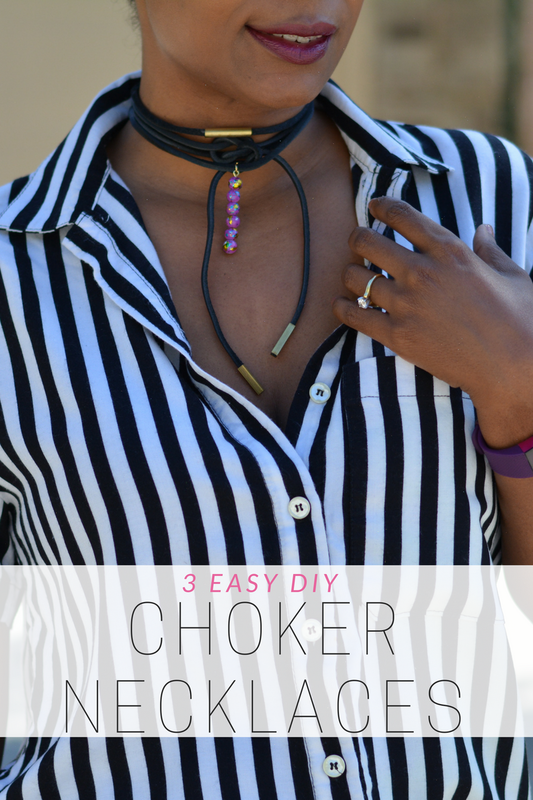 For choker #1 and #2: Measure length of necklace by draping leather around neck. You will want a snug fit so cut about ½" shorter than your neck to account for clasps and jump rings. Dab on a little glue to middle of leather remnant. Push tube to center. Attach cord ends by dabbing glue on tip of remnants and pushing into end crimps. Open jump rings with pliers and loop through holes in crimps and add closure at each end of necklace. Add beads to open eye pin. Curl the end under with pliers. Dip in glue and add a final bead to cover the entire length of pin. Add a jump ring to top of pin and attach to leather remnant. Close jump ring and apply end crimps, jump rings, and clasps to ends. Drape remnant around neck and loop twice and leave enough length for tying lariat style to your desired length. Cut. Attach tube assortments to ends. Done! Are you here for the 90s revival or are you leaving it in the past?